An update to Vol. 2, pp. 639–641. In 1960, the Copper Scroll Expedition, under the direction of J. M. Allegro, conducted a survey of Khirbet el-Mird, identified with Hyrcania, on the western fringes of the southern Buqei‘a (Biq‘at Horkania). During the survey, which was described in a brief report by G. R. H. Wright, two stepped, rock-cut tunnels were uncovered in Naḥal Secacah, at the foot of the northern slope of Hyrcania. Between 2000 and 2005, six seasons of excavations were conducted by O. Gutfeld in these tunnels. 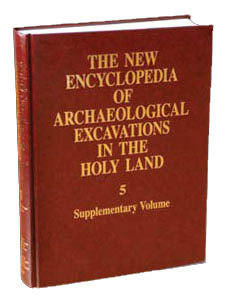 The excavations were under the auspices of the Institute of Archaeology of the Hebrew University of Jerusalem; the first three seasons were in collaboration with C. R. Morgan of the Liberty Historical Society, Missouri. THE WESTERN TUNNEL. The western tunnel is located on the southern bank of Naḥal Secacah, where the riverbed is 2.5 m wide. It was dug into soft Senonian limestone. The brittle rock and the floods that have inundated the tunnel have eradicated all marks left during the cutting of the tunnel. The entrance is located c. 2.2 m above the riverbed (a difference in height that did not prevent the tunnel from flooding) and c. 160 m below the summit of Hyrcania.